(NaturalNews) Was it hyperbole or was he serious? It's hard to say, but the head of one of the country's premier polling services just made a startling statement for simply being honest about the Obama Administration's employment numbers. Specifically, he is afraid that he could "suddenly disappear" for telling what he believes is the truth -- that the administration is dramatically fudging its unemployment figures in a bid to make the president look better. Here's what started it all. Here's something that many Americans -- including some of the smartest and most educated among us -- don't know: The official unemployment rate, as reported by the U.S. Department of Labor, is extremely misleading. Right now, we're hearing much celebrating from the media, the White House and Wall Street about how unemployment is "down" to 5.6%. The cheerleading for this number is deafening. The media loves a comeback story, the White House wants to score political points and Wall Street would like you to stay in the market. But what no one is saying, wrote Clifton, is that if a person who is unemployed has given up on looking for a job -- perhaps because they have been so hopeless out of work that they haven't bothered looking for any employment whatsoever for at least the past four weeks -- then the Department of Labor does not count those persons as unemployed. So in other words, Clifton argues, any American who is as unemployed as they can be and so unfortunately unemployable -- perhaps for good -- then the government's labor bureaucracy simply ignores them, meaning they are not counted in overall labor figure of 5.6 percent unemployed. And right now, he says, a staggering 30 million Americans are either out of work or very severely under-employed. "Trust me," he wrote, "the vast majority of them aren't throwing parties to toast 'falling' unemployment." That figure differs substantially from those published by Labor Department's Bureau of Labor Statistics, which tracks and releases employment and unemployment figures. In its Feb. 6 data report, the BLS said the number of long-term unemployed, which it counts as those out of work for at least 27 weeks, stood at 2.8 million people in January. 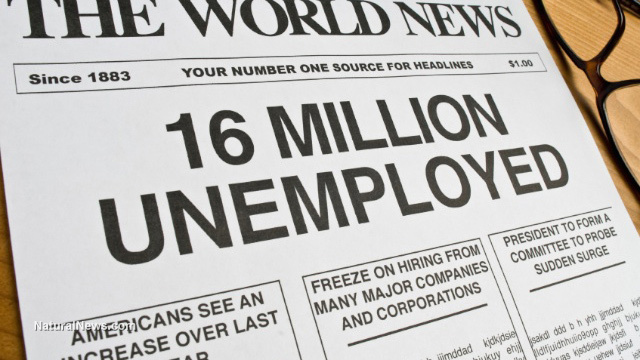 The BLS said the overall number of "unemployed persons" in January was 9 million. Clifton, again, says those figures are misleading. "Say you're an out-of-work engineer or healthcare worker or construction worker or retail manager: If you perform a minimum of one hour of work in a week and are paid at least $20 -- maybe someone pays you to mow their lawn -- you're not officially counted as unemployed in the much-reported 5.6%," he wrote. "Few Americans know this." And there is another figure, he says, that does not get much play in the mainstream media: Americans who are working part-time but desire full-time work. Say you hold a degree in chemistry or mathematics but you can only find 10 hours of work per week, making you severely underemployed; the government doesn't count you in the 5.6 percent, and again, few know this. "I need to make it home tonight"
Clifton has not been the first one to acknowledge this phenomenon. Some news agencies have made light of the discrepancy. In September, the Heritage Foundation released a report noting that millions of Americans who have simply dropped out of the workforce and are not looking for work are no longer counted in the government's statistics. But it's Clifton who is concerned that his recent truth-telling might get him into some "trouble." In an interview with CNBC following the publication of his column, he cryptically fretted that there could be some retaliation for his honesty. "I think that the number that comes out of BLS [Bureau of Labor Statistics] and the Department of Labor is very, very accurate. I need to make that very, very clear so that I don't suddenly disappear. I need to make it home tonight," he said. During the interview he also said that the unemployment rate during the Obama Administration has really never been below 10 percent.